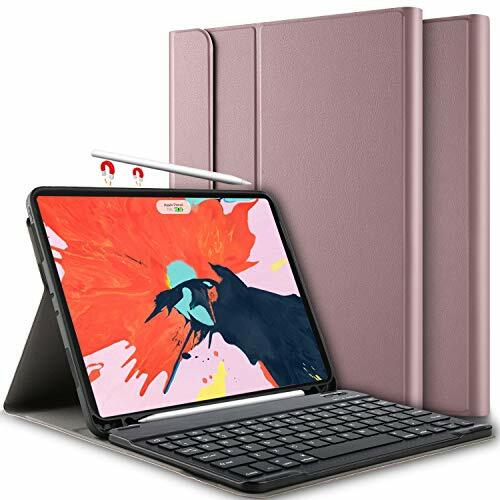 Is it really necessary to get a keyboard case for your iPad pro? This is a question that a good number of people ask and in most cases, the answer usually varies. But if it was up to me, I would recommend getting one. 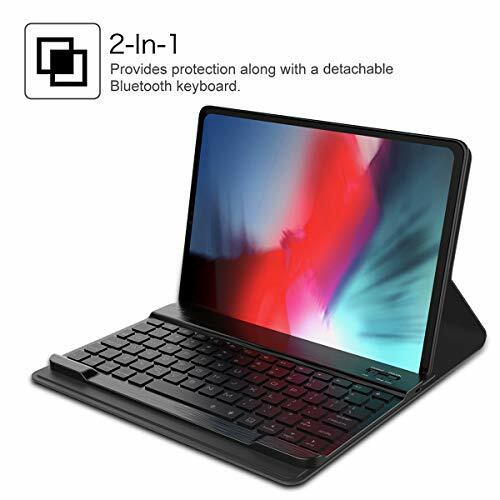 With the right kind of keyboard case, you can safeguard your iPad Pro from unnecessary damages that are prone to occur. Keyboard cases not only provide protection to your device but also helps you work effectively. You will have the freedom to choose between different viewing angles that will suit your needs. 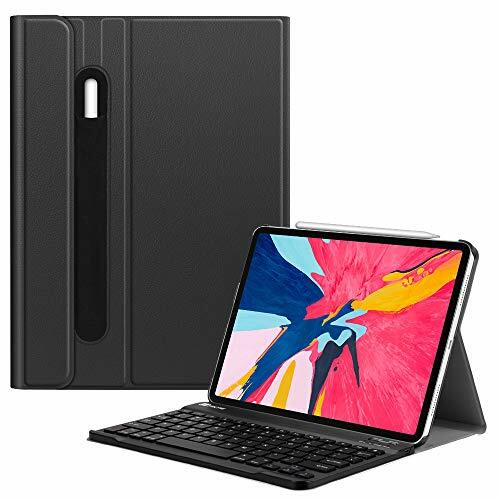 Below is a list of the best 11-inch iPad Pro 2018 keyboard cases. The Fintie is no stranger when it comes to producing the best varieties of cases, sleeves and covers for your electronic devices and this unit is no exception. 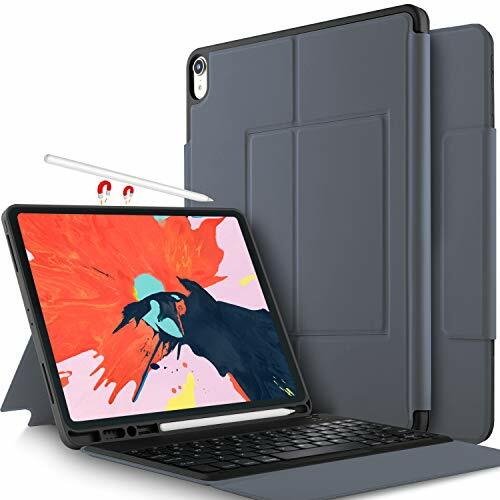 The 11-inch iPad Pro keyboard case by Fintie is made by durable PU leather cover and anti-slip rubber lined interior that provides full protection for your iPad. This unit utilizes hard laptop-style keyboard made with high-quality ABS material, unlike other keyboards that use silicone. It also features a spring mechanism underneath each key that ensures a faster error-free response whenever you type. 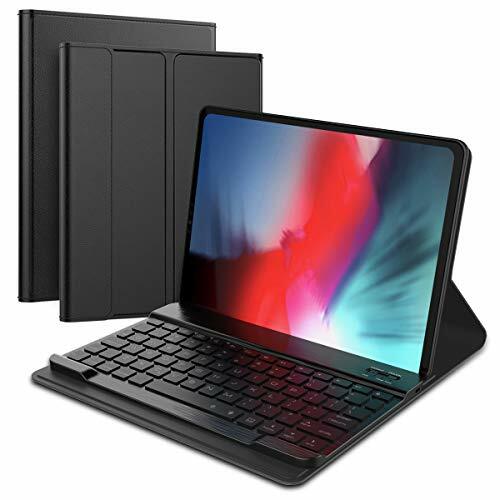 The Smart Keyboard Folio is a product by Apple and this guarantees high-quality performance once connected to your device. It is designed for easy and efficient typing wherever you are. 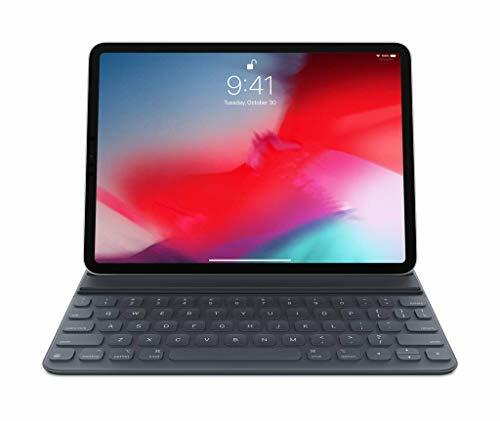 This keyboard simply attaches itself magnetically to the back of your iPad Pro and it automatically protects the front and back. 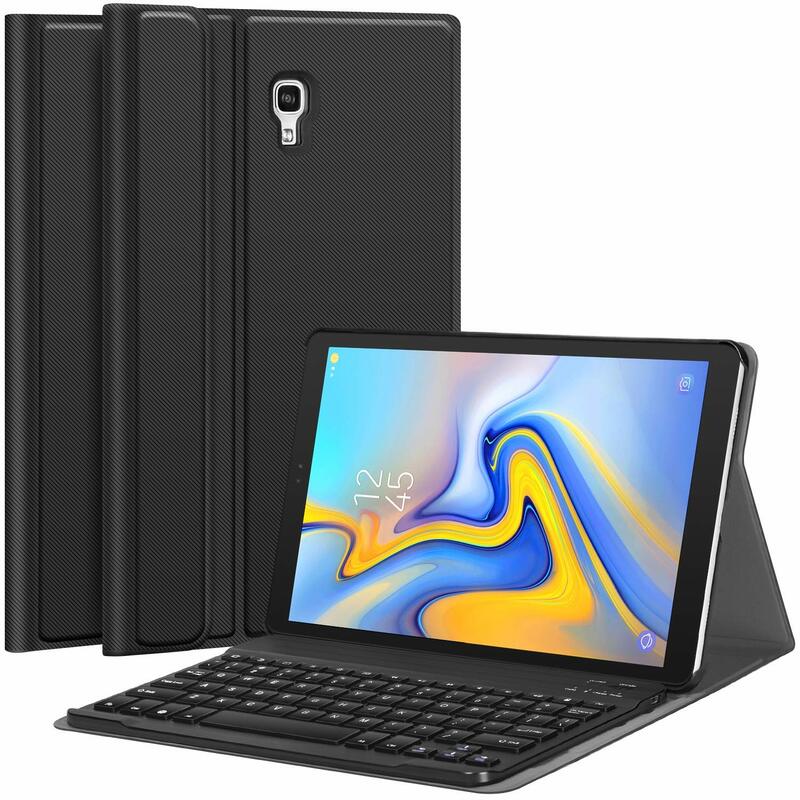 The Smart Keyboard Folio enables you to open and move your iPad Pro between two viewing angles ideal for whatever you are doing. It also features an auto-wake function that wakes or sleeps your device whenever you open or close it. 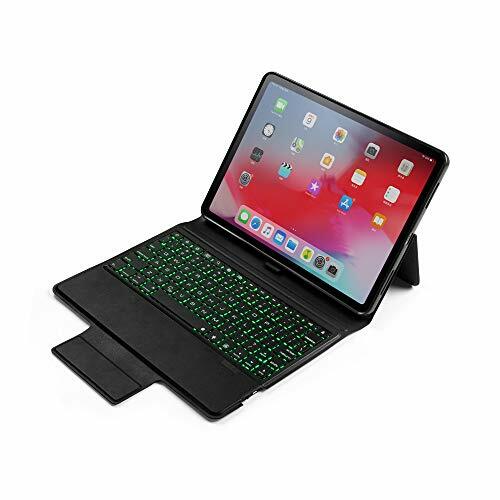 This is also a good option to consider when choosing an 11-inch iPad Pro keyboard case. The Fusutonus keyboard case is made with high-quality PU leather that safeguards your device all through. It also has a vintage stylish appearance that makes it ideal for business, travel, and school. This case is designed with a detachable wireless Bluetooth keyboard that makes it convenient to use. It automatically connects through Bluetooth with an easy connect process that doesn’t require any passwords. With its precise cutouts, you can fully access the full features of your iPad without removing the keyboard case. The IVSO never disappoints when it comes to producing high-quality products. It is made exclusively for the 11-inch iPad Pro to provide comfort and protection to your device. With its high-end PU leather cover and soft micro-fibre lined interior, you are guaranteed of maximum protection throughout. It features a smart stand function that enables you to have perfect viewing angles with your tablet. Furthermore, it magnetically folds into a portfolio case for portability and traveling. It is also equipped with a built-in rechargeable battery that could extend your battery life to up to three hours. The Luibor iPad keyboard case is a perfect fit if you’re looking for a more stylish option. This model has a sleek lightweight design and doesn’t add any bulk. This makes it easily portable inside your backpack or briefcase. Furthermore, it magnetically folds into a portfolio case making it ideal for traveling. This iPad keyboard case is energy efficient. It has an auto-wake function that puts your tablet to sleep or wake whenever you open or close it. It is also equipped with a rechargeable battery that provides an estimated working time of up to 60 hours. The TechCode iPad keyboard case is a unique addition to this list. It features a 360-degree rotation and 180-degree flip which effortlessly displays your work in different viewing angles. This model is designed with seven colours backlight option with different intensities that allow you to work perfectly even in the dark. With its high-quality clamshell case, it offers full body protection to your device keeping it free from scratches and damages. It also provides full access to all ports and features of the iPad. Exhibiting both style and elegance, the Fitmore iPad keyboard case will be a good suit for you. With an impressive battery life that can last up to 72 hours, you wouldn’t have to worry about any power interruptions. This is only possible when you charge it for about three hours. This keyboard case is made with soft and durable PU leather that safeguards your iPad from knocks, scratches, and any other damages. In addition, it has a built-in versatile adjustable stand that provides you with a good angle for reading, typing, and watching movies.